Many parents may wonder what the new member experience will be like. Alpha Sigma Alpha has a strict, no hazing policy for all of our members. Our hazing policy is listed below. Alpha Sigma Alpha forbids hazing. Hazing is defined as an activity that endangers the physical safety of a person; produces mental or physical discomfort; causes embarrassment, fright, humiliation, or ridicule; or degrades the individual — whether it is intentional or unintentional. Alpha Sigma Alpha members will not allow themselves or others to be subjected to any treatment that debases the individual’s status or robs him or her of dignity. As hazing is both illegal and detrimental, it is the responsibility of each chapter’s members to enforce this anti-hazing policy, including but not limited to discipline of those who violate this policy. The national organization will investigate any report of hazing. Confirmation of such activity will be followed by disciplinary action such as termination of membership(s), chapter probation and/or chapter closure. The membership education of all of our members is focused on the core values, aims and history of Alpha Sigma Alpha. Membership education is offered for the four primary stages of membership: new members, initiate members, senior members and alumnae members. Once a member has completed the requirements for the new member education program and has been initiated she will work through the initiate member program and subsequent education experiences. Members complete reflective activities online using the members-only ASALearn resources. New members are also provided with a Member Manual that is used during new member meetings. 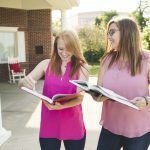 The manual contains historical information for all members to use as they learn more about Alpha Sigma Alpha. Upon initiation, all members receive a Ritual Reflection Journal which can aid in their personal reflection and development.